About 40 days ago, I had raised the issue of a “Sanity Check” on the proposed High Speed Rail Link (HSRL) to Bengaluru International Airport. Sanity Check 1: Who is the target customer of the HSRL ? In parallel, I began pondering, if there are indeed any alternate solutions. One of the solutions I have come up with is using the Namma Metro itself. The Metro depot at Bayapanahalli depot near the old NGEF factory, will be the first depot implemented. Expected completion date is 2010. At the same time, the Cabinet has approved, in principle, the expansion of the Metro Phase 2, which includes extensions to the IT centric hubs of Electronics City, and Whitefield. My proposal is detailed below, and I welcome comments. The route will commence from the Bayapanahalli depot or Indiranagar station which will the interchange point for the Whitefield extension. Proceed east till the Outer Ring Road (ORR). Go north/northwest on the ORR along the median, since there is no space on the sides. At HBR 4th block, head north towards Kannur and Bagalur, passing Bangalore International School. From Bagalur, a straight trip to Bengaluru International Airport. The strength of my proposal. My own sanity check. 1. Utilises existing road or upcoming Metro infrastructure to reduce costs. The route will commence from the Bayapanahalli depot or Indiranagar station which will the interchange point for the Phase 2 Whitefield extension. Proceed along existing roads, so acquisition of land is minimised. There is an existing BMTC depot at the Hennur Road – ORR junction which will aid in the integration of mass transport systems. Opens up an alternate route along North East Bangalore, instead of duplicating existing route via Mekhri Circle, Hebbal, NH7. While not as fast as the HSRL, the distance of 32 km, can be covered in about 40 minutes. The metro can operate up to 80kmph speed. Beyond HBR layout, with the number of stations reducing, the average speed picks up. The HSRL is designed as a dedicated airport link and meant only for passengers. Without bringing non-passenger airport workers (employees, business visitors like importers, exporters, cargo agents, customs agents, etc.) on board, there is insufficient volume to justify the expense of the HSRL. The Metro increases the catchment and will additionally bring in passengers beyond passengers, including cross town commuters, who will use the metro till HBR layout, and beyond. 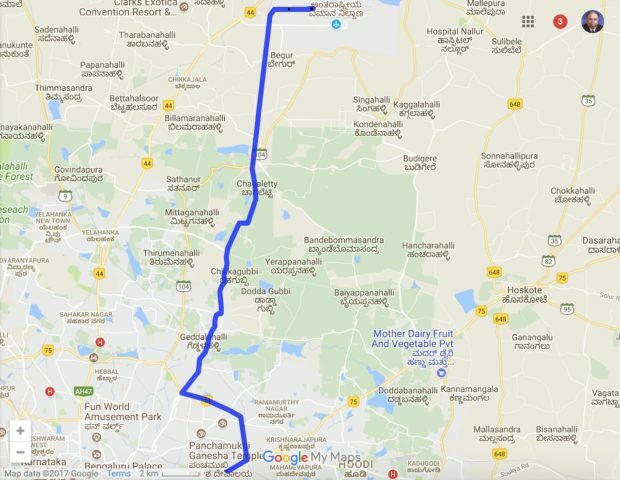 The Phase 2 link from Electronics City to Yelanhanka, via city centre, Fraser town, Nagavara, Sanjivini Nagar will come though the centre of Bangalore, and can join up with the airport link at HBR Layout. Use of the Metro will also accommodate the needs of the people at “airport-city” when it comes up. A metro based airport line will also integrate with other surface transport mechanisms like bus and inter-city rail. 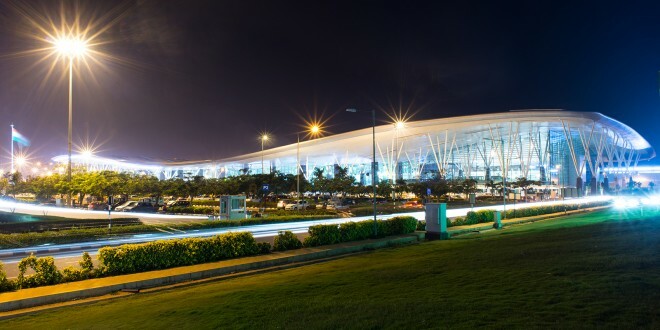 BMRC has a lot of land available at Bayapanahalli, and by integrating with the existing Metro Phase 1, the airport traveler can travel on rail all the way from the fringes of the city where he/she resides or works, instead of coming to an already congested city centre in a car or a bus. Yes very possible. While the normal “in-city” phase 1 trains will commence with 3 coaches, the metro has a capacity of 6 coaches. 2 Coaches out of 6 can be modified with luggage racks. While it is very much possible, but the question I pose ….. is it really needed ? Most passengers today travel light, not carrying more than 1 small piece of luggage in addition to a briefcase or laptop bag. International passengers, and those with multiple pieces of heavy bags, will in any case take a direct service like their own car or a cab. Yes. MRTs of Singapore, New Delhi, and London . Despite having passenger numbers, the SMRT is essentially geared towards transporting airport workers, and those passengers with less baggage, for these two groups constitute about 80% of the airport traffic on a daily basis. 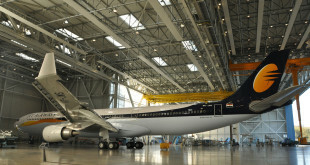 New Delhi is planning a dedicated airport link, in addition to integration of the Dwarka line. Delhi can afford having two links. One primarily targeting passengers, the other for the rest of airport travelers. Being the seat of government and host to the Commonwealth games 2010, brings its own largess, and Delhi has the passenger numbers, to financially justify spending Rs. 3,800 Cr. on a dedicated rail link. Bangalore does not have the numbers, nor the largess. The line opens up a new avenue instead of duplicating existing connectivity. A successful train system is one that does not have buses running parallel to it, but rather, running to it, in a clover leaf pattern. Currently the entire land between Hoskote, Kannur, Bagalur and Devanahalli, is lying unused. Much of it is barren and not conducive to agriculture. By installing a Metro, it enables development of this entire segment, bounded on the west by the Metro, and on the east by NH207 which will ultimately become part of the Peripheral Ring Road/Satellite Town Ring Road (which ever comes up first). Companies are looking to Bangalore, but cannot afford the high cost of real estate now prevalent in most of the industrial areas of Bangalore, enabling decongestion of the city centre, and moving Bangalore towards its stated goal of creating self-sufficient satellite towns. I estimate my proposal for an over-ground airport link, will be in region of Rs. 3,500 – 4,000 Cr, significantly less than the HSRL. Higher ridership with ensure better financial returns than HSRL, since the line will cater to more than just passengers, or even airport travelers, which in turn will keep the ticket prices affordable. My plan has one major assumption that presumes the cooperation and willingness of BMRC to do this link. As dynamic a person Mr. Sivasailam is, BMRC, might say that Metro should follow development, rather than precede it. The persuasion I offer is that the start and end points are already developed and so is quite a bit of the route. For areas near Kannur and Bagalur, the stations can be provisioned and constructed later when development commences. Ultimately it is the chicken and egg story. Which will come first ? In that remote area, development will not come without some form of transportation. The other weakness is Utopian ideals. I am assuming that the politicians will not “interfere”. In case of the HSRL, being a separate entity, “interference” is far easier, than in an existing project like Namma Metro.